Dr. Julian E. Martinez was born and raised in San Antonio. He served in the U.S Navy and was stationed in San Diego and Camp Pendleton, California from 1985 to 1990. In 2000, he obtained his Dental Hygiene Degree (RDH) at the University of Lamar in Beaumont. He continued his education and earned his Doctor of Dental Surgery (DDS) degree from The University of Texas Health Science Center in Houston. 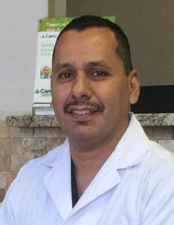 A fluent Spanish speaker, Dr. Martinez is proud to serve the people of his hometown. He is known for being gentle, patient, caring, and thorough in his work. He takes the time to provide his patients with the best care possible centered on their unique needs so they never feel rushed. Dr. Martinez believes in conservative, preventative dentistry, and his goal is to help patients enjoy great oral health for a lifetime. We understand that many children feel anxious about dental appointments, and that our younger patients often need a little extra sensitivity when it comes to dental treatment and communication. 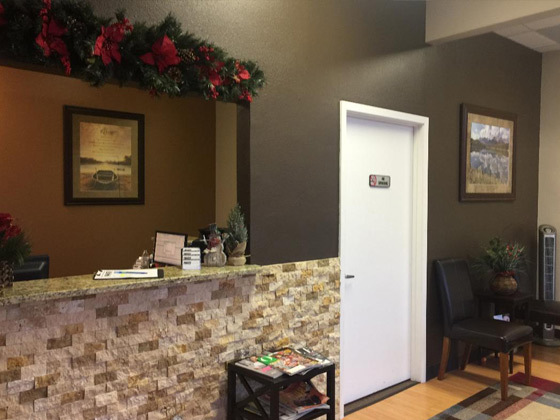 Our office has been designed to meet your child’s individual, comprehensive dental needs – from routine check-ups and cleanings, to emergency care. Positive dental experiences during childhood encourage a lifetime of healthy smiles. We strive to make your child’s dental visits effective, educational and, most of all, fun! Do you worry about the cleanliness of your dentist’s office? We understand your concern, and we go above and beyond the American Dental Association (ADA) and OSHA recommended standards for a clean and safe dental practice. We have a dedicated area with state-of-the-art sterilization technology where every instrument is disinfected and made ready before your visit. We also sanitize each room between patients so you can rest easy knowing that your safety and comfort are our top priorities. We are fully trained, skilled and certified to provide you with the best possible dental care. Every member of our team fulfills his or her responsibility for continuing education by attending dental conventions, seminars and lectures. We want to stay up-to-date and informed on new equipment and treatment techniques to learn how to better care for you and your family.